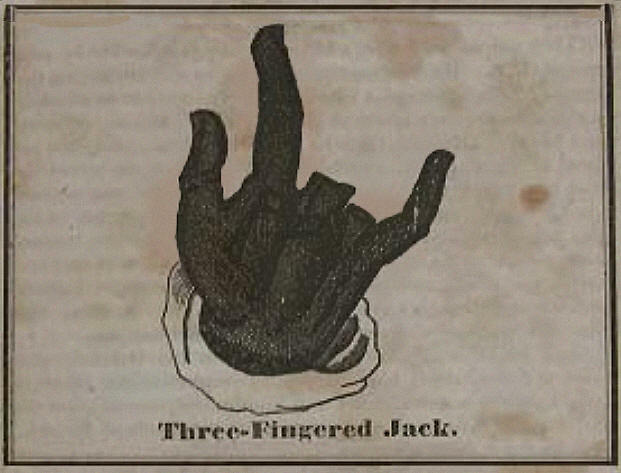 The famous robber, Three-Fingered Jack, was the terror of Jamaica in the years 1780 and 1781. He was an ohi-man, and by his professed incantations was the read of the islanders; there were even many other people who believed he was possessed of some supernatural power. He had neither accomplices nor associates; he robbed alone; fought all his battles alone, and always either killed his pursuers, or retreated into difficult fastnesses, where none dared to follow him. It was thus that he terrified the inhabitants, and set civil power and the neighboring militia at defiance for two years. At length, allured by the rewards offered by Governor Dalling, in a proclamation dated the 12th December 1789 and by a resolution which followed it of the House of Assembly, Quasher and Sam, both of Scot's Hall Mareen town, with a party of their townsmen, went in search of him. Quasher, before he set out on the expedition, got himself christened, and changed his name to James Reeder. The expedition commenced, and the whole party crept about the woods for three weeks, but in vain. Reeder and Sam, tired of this mode of warfare, resolved on proceeding in search of Jack's retreat, and taking him by storming it. They took with them a little boy of spirit, who was a good shot, and then left the rest of the party. These three had not been long separated, before their cunning eyes discovered, by impressions among the weeds and bushes, that some person must have lately been that way. They softly followed these impressions, making not the least noise, and soon discovered smoke ascending. Not long after they came upon Jack who jumped to his feet will long knife in hand. The boy of spirit took bead upon him and sent a ball deep into his side. Jack dropped to the ground where Sam took the long knife and cut from his arm his withered hand. Jack died of his wound, his body and hand were exhibited throughout the islands for many years. 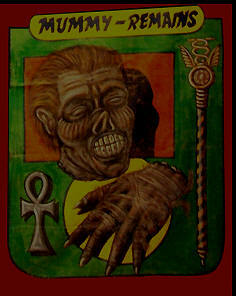 The body and hand disappeared after it was stored in an old woman's barn on the island. 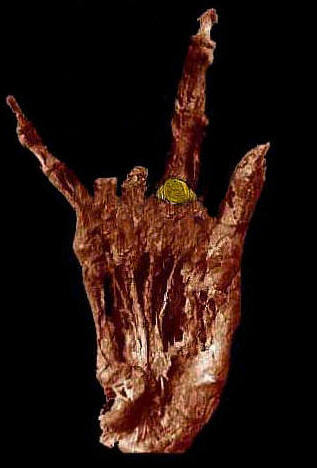 In 1893 the hand was discovered in a shop in the French Quarter of New Orleans and remained there in the care of the Swede family until after the Hurricane of 2005. The Swede family along with many other families lost their homes. The hand was thought to have been lost in the flooding from Lake Pontchartrain. 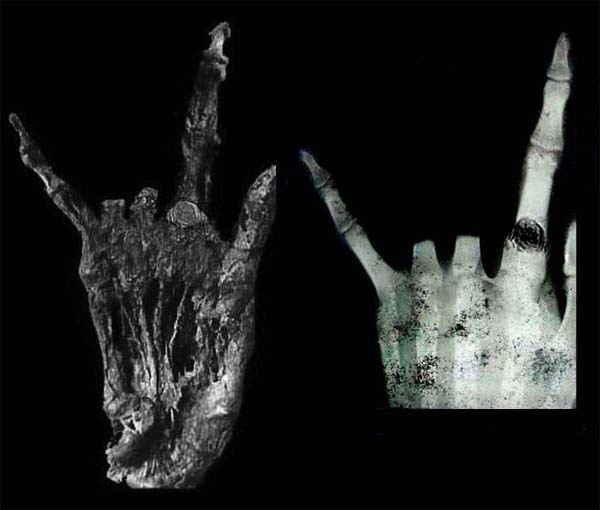 The hand was later found in a field with other debris and is now touring the country with an unidentified show.